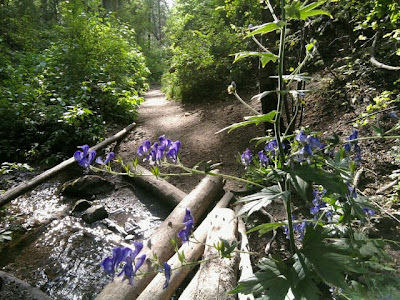 Yesterday after work, I headed up Millcreek Canyon for a hike. I wanted to work out and since it was hot as blue blazes and red air quality in the valley, cruising up the canyon made perfect sense. There were very few people on the trail and the air was clean and cool. It was the perfect after work wind down.